My shower time is one of the few moments during the day that I truly get to myself. I enjoy soaps with amazing scents that help to keep my skin hydrated, even in the cold weather. 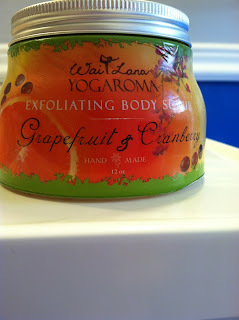 I love treating myself in the shower with a good body scrub, and my current favorite is the hand made Wai Lana Yogaroma Exfoliating Body Scrub in Grapefruit and Crandberry. It has an amazing citrus scent to it . . . I wish the page could feature a scratch and sniff! And look at that texture! You can SEE the ingredients, so you are not applying some unknown substance to your skin. Notice the seeds? Those are cranberry seeds! 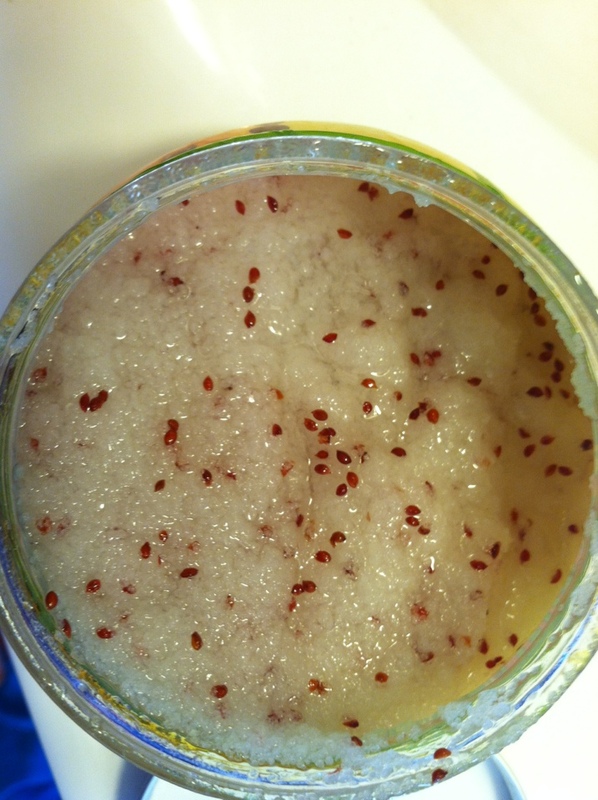 The scrub is not only hand made, but all natural as well! We love how it makes our skin feel and smell. I looks and sounds like a great product. I love my shower/bath time too! Especially when I have great smelling, wonderful products! This sounds super nice, and I would love to try some! Never heard of this line, but I definitely want to give it a try!